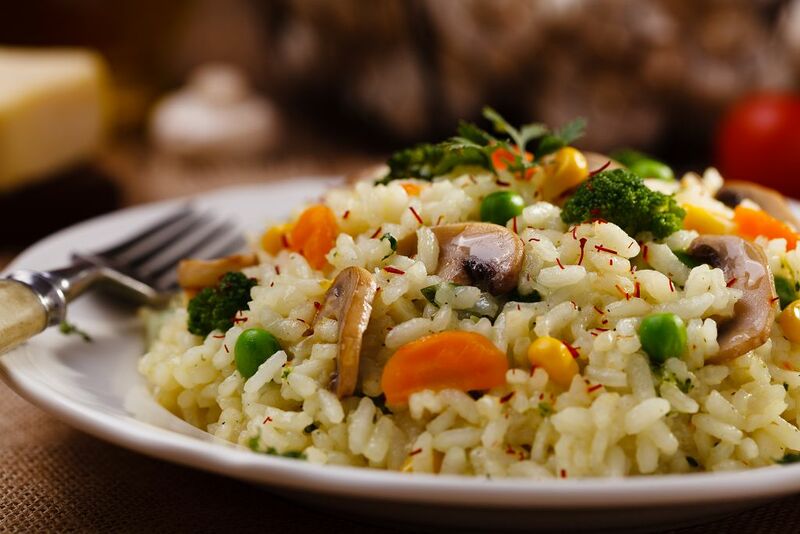 Risotto is a favorite Italian rice dish of many people. It’s easy to understand why. It’s very delicious, what with the combination of meat stock and vegetables. It’s very creamy and soothing. There’s one problem with risotto, though—it can be very difficult to cook it especially for novice chefs. Unless you’re Gordon Ramsay, I would surmise that you had your share of mistakes in cooking risotto. Fortunately for us who love risotto, reheating it isn’t as complicated as cooking it. I will share with you the different ways to reheat risotto. Perhaps the easiest way to reheat risotto is to place it in the microwave oven. I usually put the cold risotto in a microwavable container and add butter and a little wine. You may also add some water if you don’t have wine at home. Then microwave it for 3-4 minutes. You should check and stir the risotto once the time elapses. If you find it a bit cold, put it back in the microwave and heat it for another minute or so. This is the quickest way to reheat risotto; one method that I can suggest if you are pressed for time. No microwave? No problem, because you can still reheat risotto in other ways like using a steamer basket. Start the reheating process by dropping the steamer basket in a pot filled with boiling water. After a minute or so, pour the chilled risotto into the steamer basket. The heat coming from the boiling water will heat the risotto without drying it out. Cover the pot and lower the heat. It has been my practice to steam cooked risotto under low heat to keep it fresh and retain its flavor. You can also add some white wine and butter so that the risotto will retain or revive its creaminess. 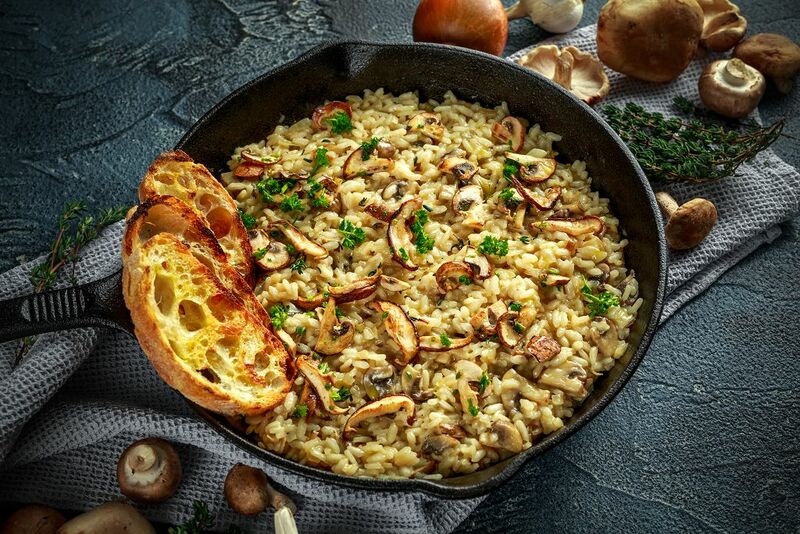 You can also turn to an old reliable—a non-stick pan--- to reheat risotto. Put all the leftover risotto in the pan and add white wine and water or meat stock. 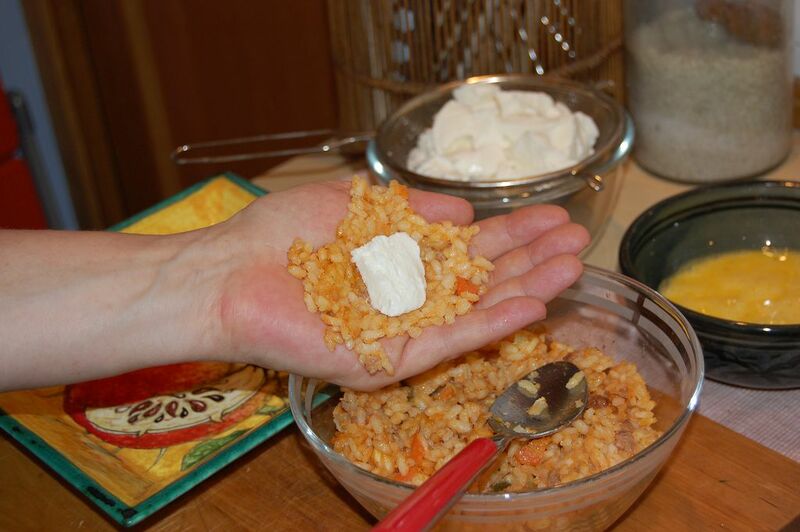 Adding a slice of butter will also make the cooked risotto creamier. Place the non-stick pan over low heat. Once the risotto starts to boil, stir it well. 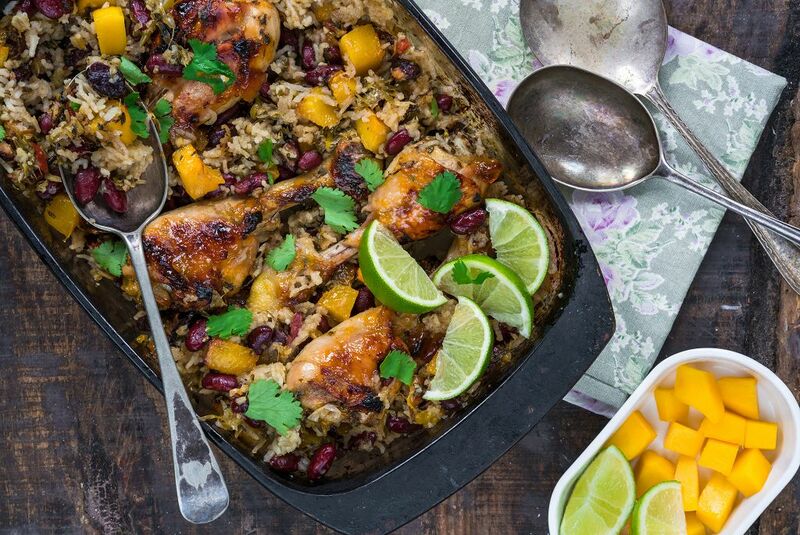 This will not only integrate the ingredients well but also ensure that heat is evenly distributed in the pan. Check the risotto? Does it still look dry? If so, add another slice of butter and a bit of white wine. Continue stirring until the risotto becomes creamy. You can also turn leftover risotto into another dish--- arancini di riso. It can be a starter dish or even a main course if you are on a diet. This recipe can take up to two hours to complete, though. And you will be needing a handful of ingredients. But it would make about 20 servings. And it can make your leftover risotto even more appetizing or flavorful. Line parchment paper in a container that can fit in your refrigerator. Whisk the eggs together then add them to the risotto. Stir well. Add a cup of breadcrumbs and stir until you come up with a sticky mixture. 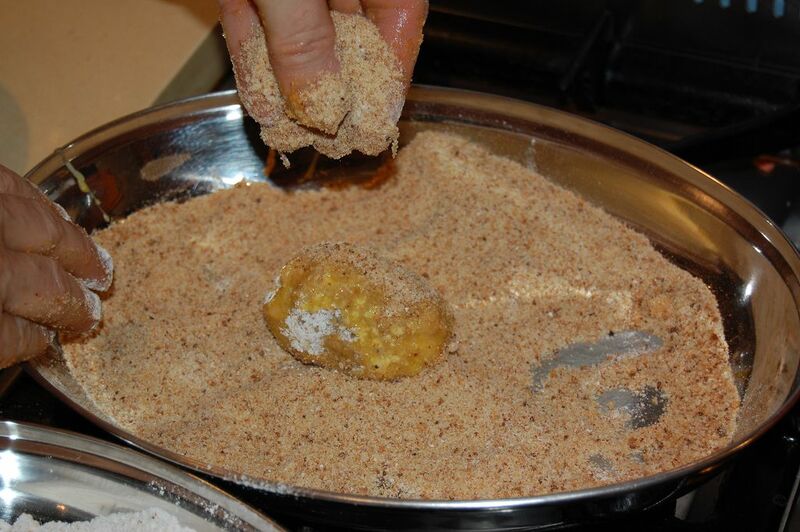 Add more breadcrumbs if the mixture is too wet. 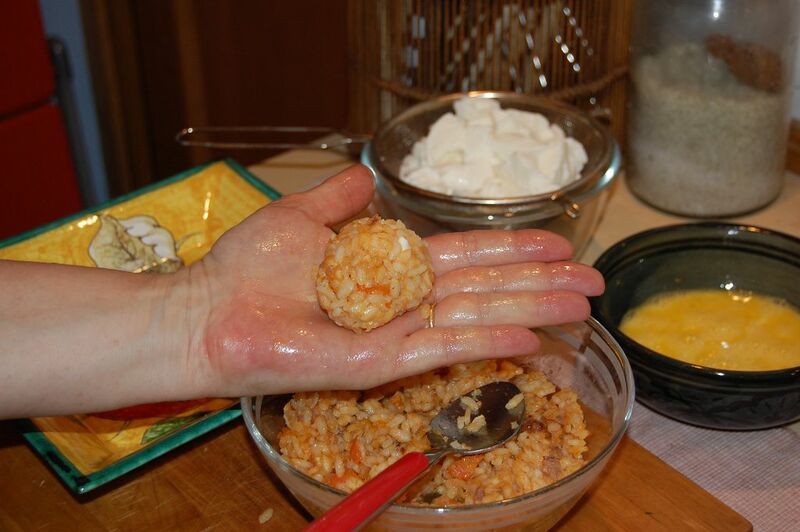 Start forming arancini by mixing a mozzarella ball with a spoonful of the risotto mixture. You would want to form a ball of that’s about the size of a golf ball. Place the arancini in the container. Use parchment paper to separate the layers of arancini. Place the container in the refrigerator for an hour. Pour the remaining breadcrumbs in a bowl. 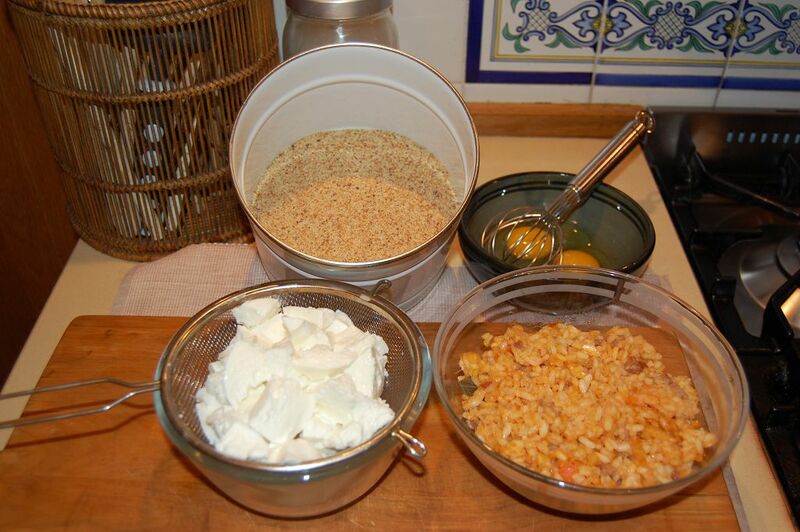 This is where you will roll in the arancini prior to frying. Heat vegetable oil in a medium sized sauce pan placed over medium heat. Cook the arancini until their color becomes golden brown. Place the arancini on paper towels to drain off the excess oil. 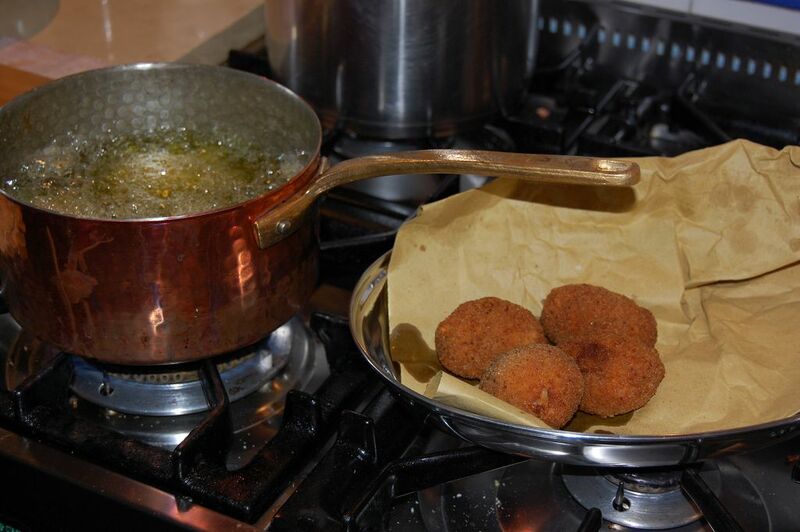 Continue frying until all the arancini balls have been cooked. That’s it—you now have arancini di riso balls that you can serve for lunch or dinner. And even breakfast, too, as long as you have time to prepare it. Risotto is a flavorful and creamy dish that’s loved by millions around the globe. You don’t have to throw away leftover risotto because reheating it is so easy and simple. And you can even turn risotto into another dish that your family will surely love.